Luxury Living in a Country Club Setting! Custom built 2-story home offering just under 6,000 sf of living space situated on an oversized corner lot. Backing up to the Golf Course & lake, with tall hedges surrounding the pool, this home provides a serene and private setting. 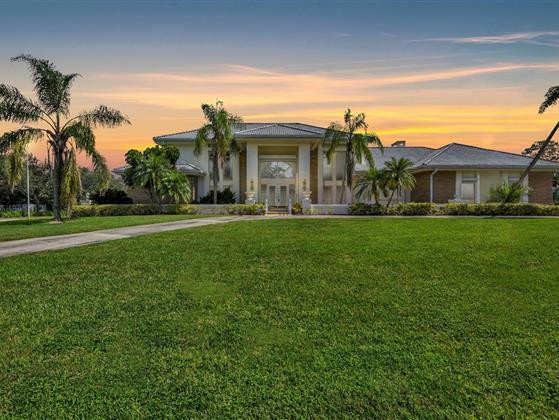 Featuring a grand entrance with winding staircase, custom mirrors and beautiful fireplace including floor to ceiling stone, and wall-to-wall windows & sliders that allow the natural FL sunshine to pour in. Stunning tile floors, 4 fireplaces, tall wood detailed cathedral ceiling, and massive pool area w/ Summer Kitchen are just a few of the reasons you will love this home. In 2010 a new tile roof was installed, pool & deck were refurbished and a new screen cage was installed. Residents of The Forest enjoy the privacy and security of a gated community nestled on 650 lushly wooded acres. With natural settings beautifully framed by two 18 hole championship golf courses, a tennis center, and renovated clubhouse.